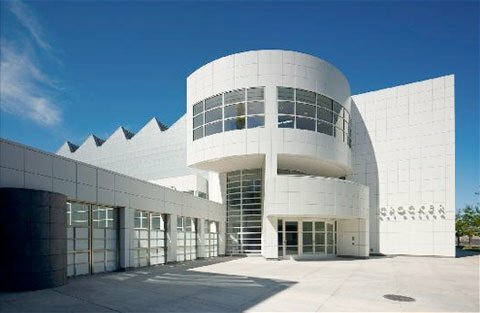 The Sacramento Association of Museums (SAM) is a non-profit that combines the majority of the museums in Sacramento into one association, making it easy for users to find and connect with all of Sacramento’s local museums. SAM is a site that’s near and dear to our hearts at Three29. Sacramento is usually looked at as a community without a lot of museums or culture, a community that plays second fiddle to the Bay Area. Just like SAM wants to show the range of museums available in Sacramento, one of our missions at Three29 is to prove that amazing design & development work exists in Sacramento. Being able to do that for another organization was a blessing, in more ways than one! Understanding what SAM is and researching the business of museums. SAM is big. There are over 30 museum members of varying size and complexity. Bringing all of them together into one site with one clear vision wasn’t easy; but we made it happen through careful adherence to the project’s goals. 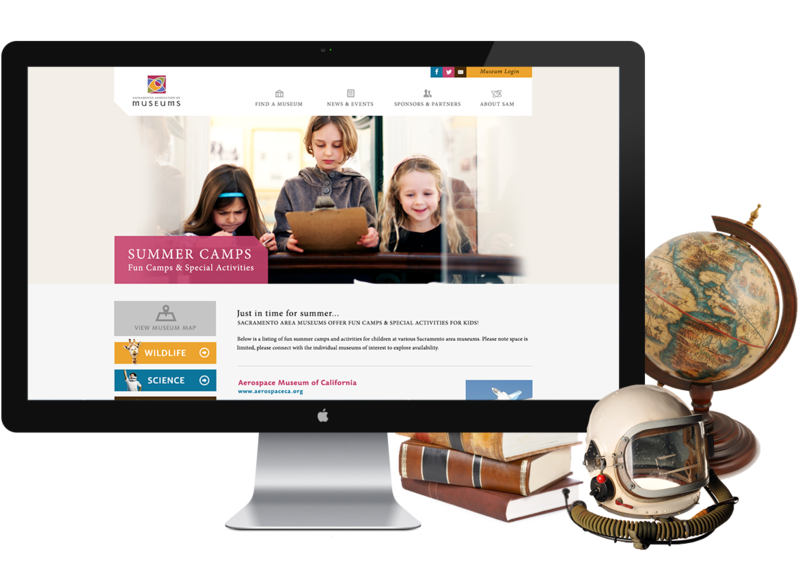 The new SAM site gives all museums the opportunity to be featured and found by users, regardless of location, size, or ticket sales. SAM’s site was fairly easy to organize, we just need to focus on two things: museums and events. We wanted to drive users to key pages while providing secondary information about sponsors and the association as a whole. 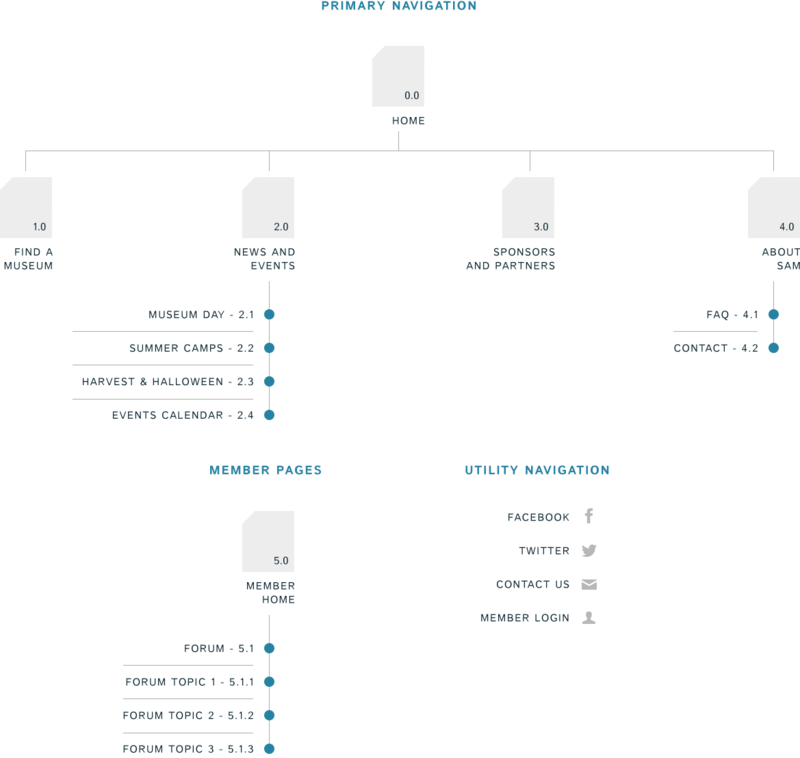 The new site architecture came together with all museums on board; easy peasy lemon squeezy. 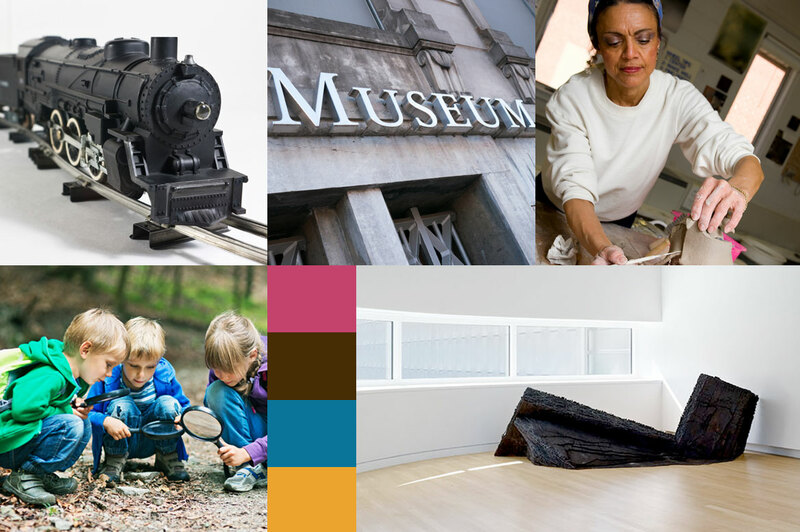 Building on the goals to organize a gallery of non-profit museums. 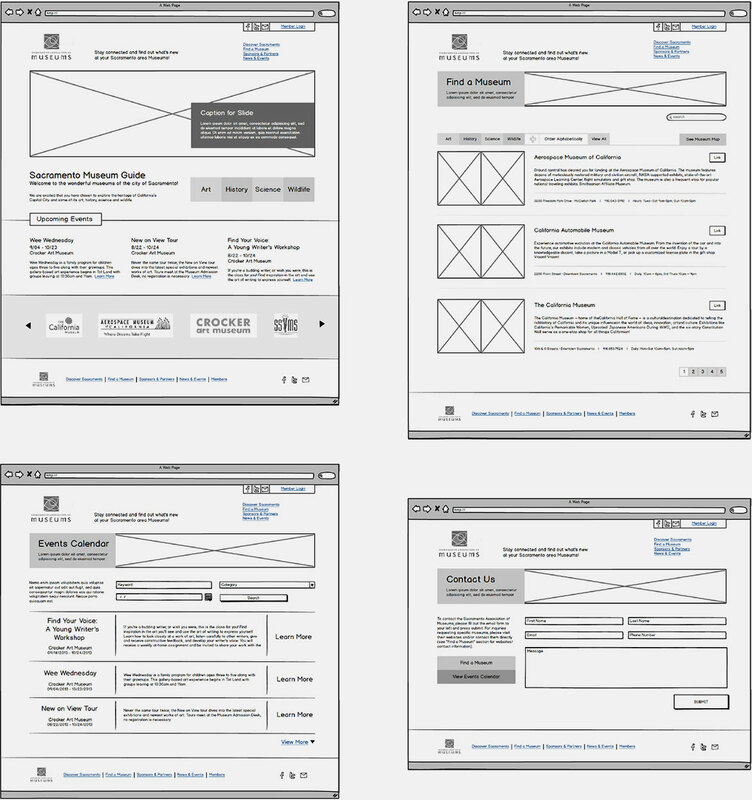 Building on the goal of driving users to museums and events, the wireframes came together in a streamlined manner. The biggest challenge was to make sure some of the smaller museums had as much exposure as the larger ones. This was done by dividing them up into categories and sorting each listing randomly. It’s a simple solution but one that made everyone happy, including the users! Clean and modern web for a modern city. The new SAM site is modern, clean, and upbeat. It brings to light the types of exhibits available throughout Sacramento and does so in an easy to use, all around beautiful design. 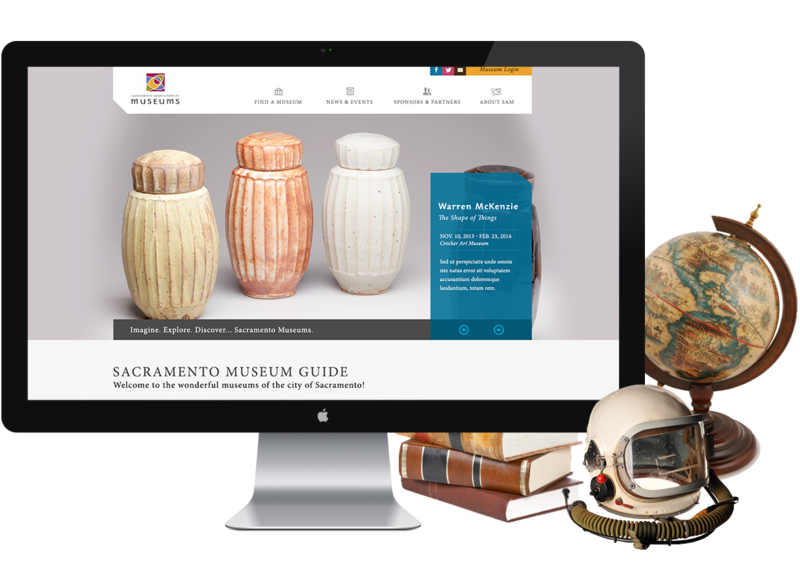 It was a proud day for Three29 when we pulled the trigger and launched the new Sacramento Association of Museum’s website, and the Museum Days in our Capitol City have never been better.